The Most Geographically Isolated Group Of Islands On Earth Is? 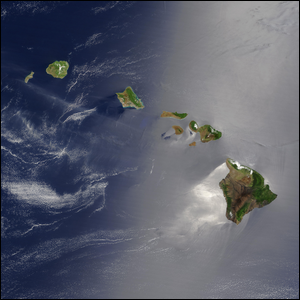 The Hawaiian island chain, or archipelago, is the most geographically isolated group of islands on Earth. Located more than 2,000 miles from the nearest continental land mass, the chain of volcanic islands is home to a wide range of flora and fauna that exist only in Hawaii. 90 percent of the island’s plants and animals are unique to the island chain, a curiosity made less surprising when you consider that the islands were left completely uninhabited and untouched by humans (and the animals they brought with them) until the first century when Polynesian explorers landed there.